Demonstrators in 163 cities across Canada took to the streets last Thursday to demand justice for missing and murdered aboriginal women. The Montreal contingent of the Sisters in Spirit Vigil for Missing and Murdered Aboriginal Women—now in its seventh year—marched hundreds strong to the beat of animal-hide drums from Place Émilie-Gamelin to Phillips Square. 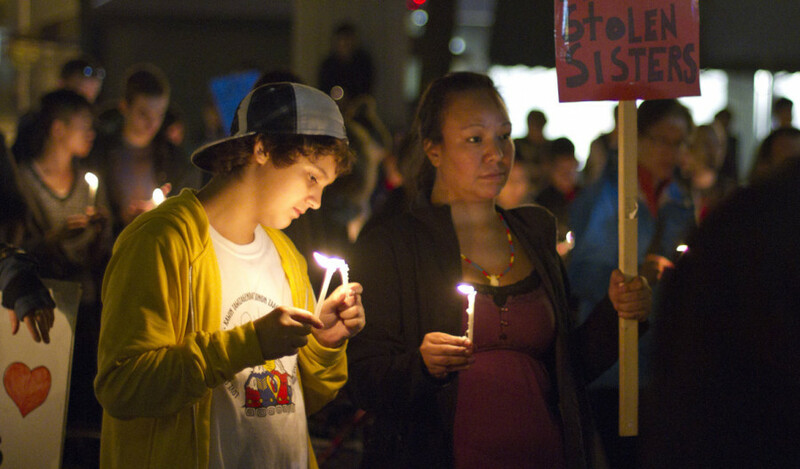 There are an estimated 600 missing aboriginal women in Canada, but some put the number at nearly 3,000. Aboriginal groups and families are in an long-lasting struggle with the government over funding and resources to investigate these cases. Although Sisters in Spirit is one of the groups whose funding is currently in jeopardy, Montreal’s march has grown exponentially since 2005. “Seven years ago we had 30 people, the second year we had 50 and it kept growing and growing,” said Irkar Beljaars, a Mohawk activist who has helped organize the event since its inception.